What's making a web in my tree? The Fall Webworms make their webs on the tips of the tree branches. They construct their webs around the foliage that they will later consume. 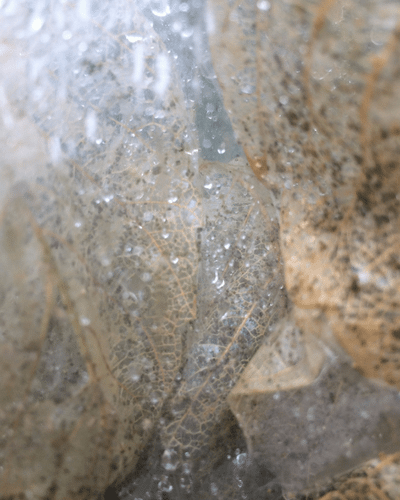 This web/tent is used as a feeding area and as a safe haven for the fragile eggs/larva. It is made very large to accommodate the growing population. The life cycle of this moth is pretty typical. The adult moth lays her eggs on a leaf. She will lay a few hundred eggs and they will only take about a week to hatch. The lavae will emerge from their eggs around August or September. These larvae will feed on the leaves in their web home. This stage lasts about 4-6 weeks. The pupa stage is the when the larvae makes a cocoon around themselves. They will stay in their cocoons through the winter and emerge in the spring as moths. 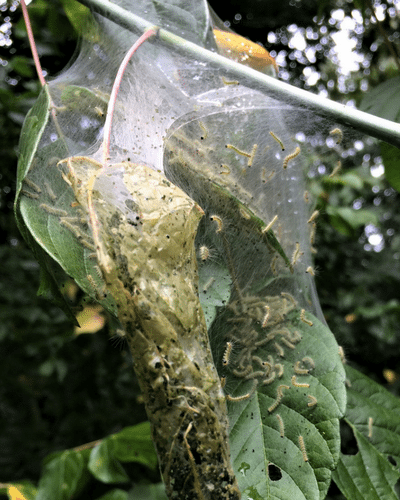 Do webworms harm the tree? 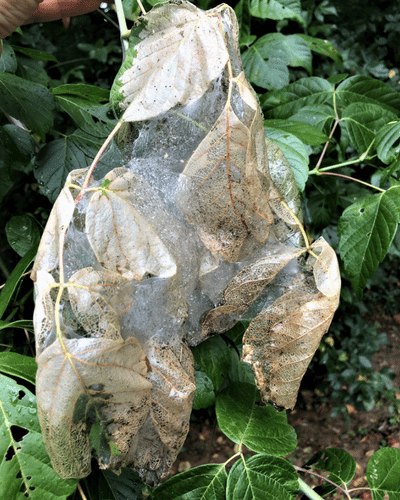 Webworm tents rarely kill a tree, however it can defoliate a tree which may impair the trees ability to grow. 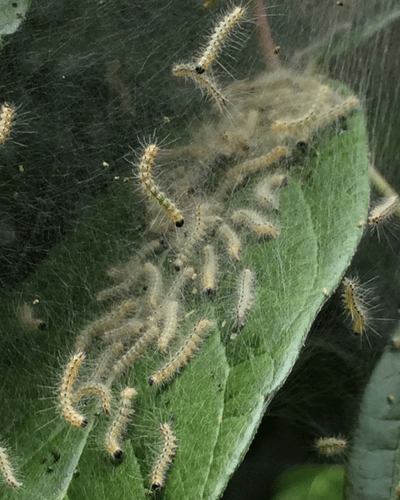 Should I call my pest control company to spray for webworms? It’s really not necessary to call a pest control company. While they don’t look pretty, webworms won’t cause serious damage to your trees. 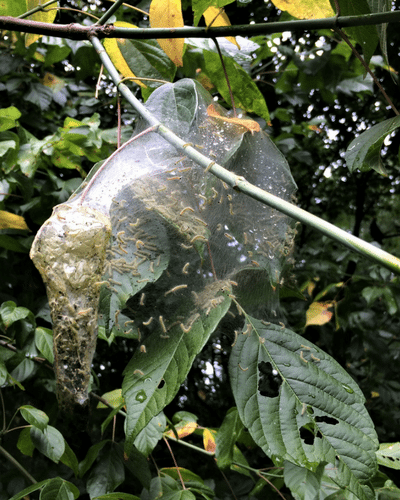 Are webworms attracted to certain types of trees? In the eastern US, the webworm typically may prefer pecan, walnut, American elm, hickory, fruit trees, and some maples. To see a video of these webworms in action, check out our YouTube channel here! FACT or FAKE: Does squishing a cockroach release it’s eggs?